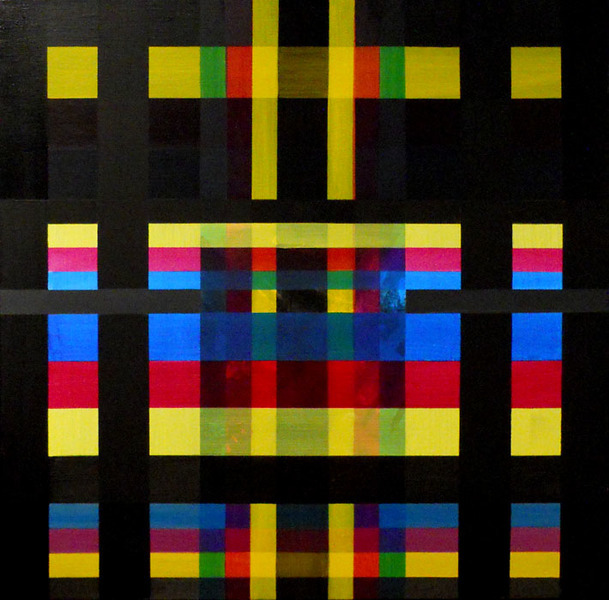 Test Pattern: CMYK / RGB These paintings began as an experiment and were completed over a two year period in between other projects. The goal was to see how the color of an underpainting would influence subsequent overlays of translucent color glazes. 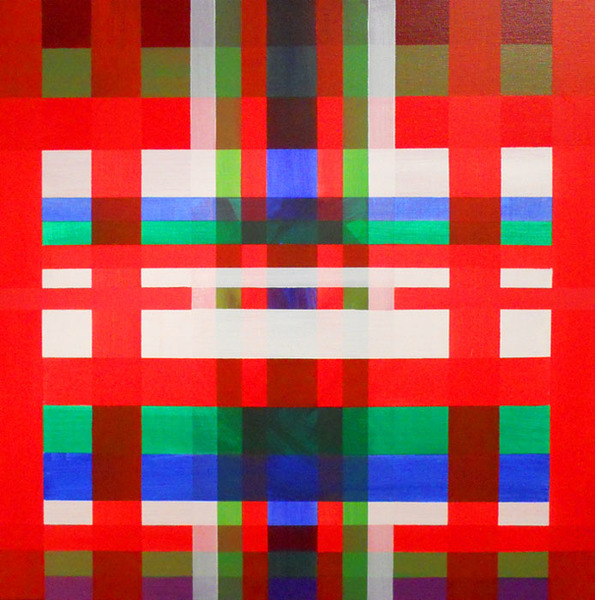 Each painting began with the same 'test pattern' design in its unique color; then I applied the same series of colors in the same order in layers producing the end results. The CMYK series employs the process colors of subtractive color printing (cyan, magenta, yellow, black) and the RGB series uses the additive colors of tv and computer art (red, green, blue).